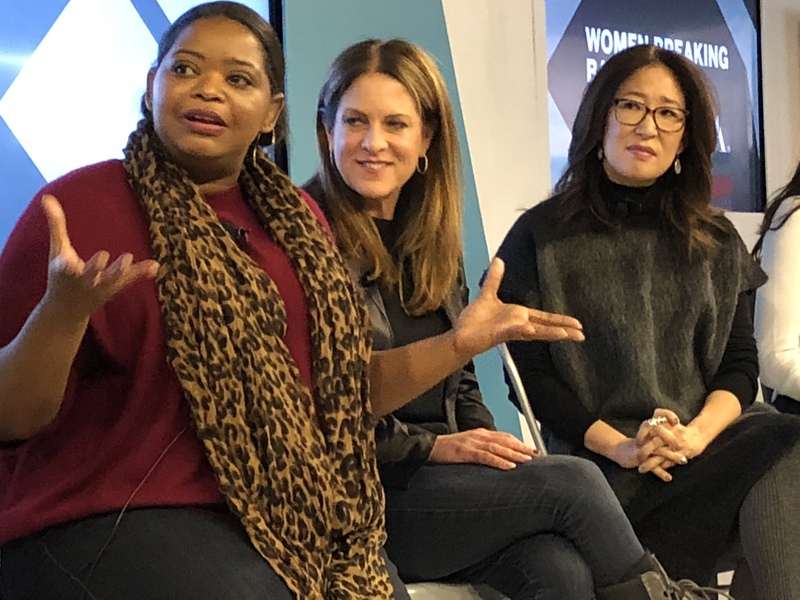 USC Film Student Susi Basse sent in some great photos from the 2018 HFPA’s Women Breaking Barriers event. 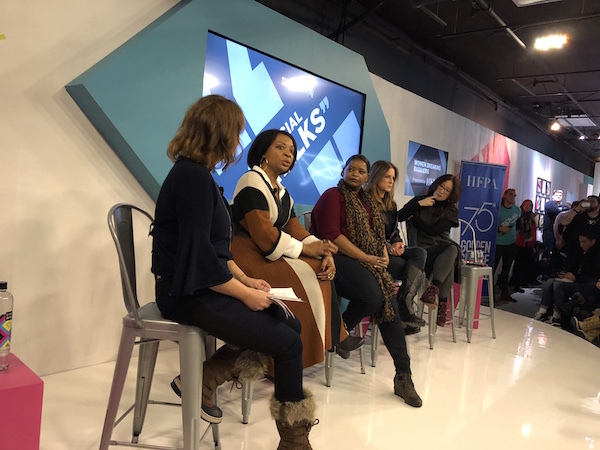 This morning, filmmakers and media makers with projects at the 2018 Sundance Film Festival came together at the Riverhorse for a brunch. Looks like everyone had a great time! Let’s start with your name and graduation year. Hi I’m Steve Holleran and I graduated in 2013. So we’re here to talk about your Sundance film A Boy A Girl A Dream. Can I get a quick pitch? It’s about two strangers who fall in love the night of the presidential election last year. The film is shot as a single take oner which immerses us in the last ninety minutes of the election. It stars Meagan Good and Omari Hardwick and was directed by Qasim Basir. It premieres next week at Sundance. What was your role on the project? I was the cinematographer on the film. hours about not only the film but about life. It was clear by the end that we were going to do the movie together. It felt like a great fit not only for our similar creative sensibilities but our outlook on life and the future of our country. We both wanted to create a film that said love and hope trumps hate. Were you excited or worried? About the one take? It was a mixture. I’d always wanted to do a oner but — at the same time — we had some pretty serious constraints on the film in terms of time and budget. It was a difficult challenge to make it seamless but at the end of the day we decided it was the right way to tell the story. On a technical level it was very exciting because I was able to bring together a lot of technology that hadn’t been used on a feature or a oner before. 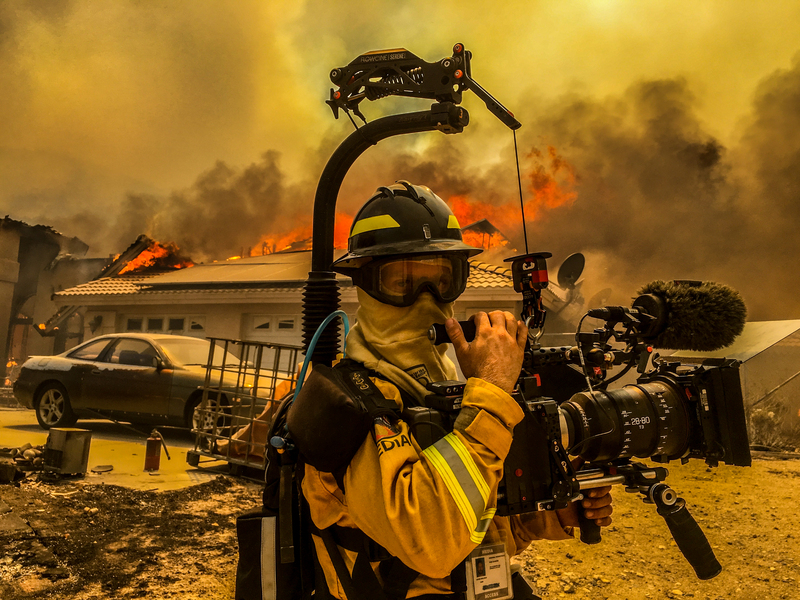 I had tested the prototype rig called the Anti-Gravity Cam on my Netflix series “Fire Chasers” which came out last fall. The rig is body mounted so it revolutionizes gimbal use and stabilized shots in general. With the rig you can move the camera from zero feet to nine feet and pan and tilt it all around like a mini jib. 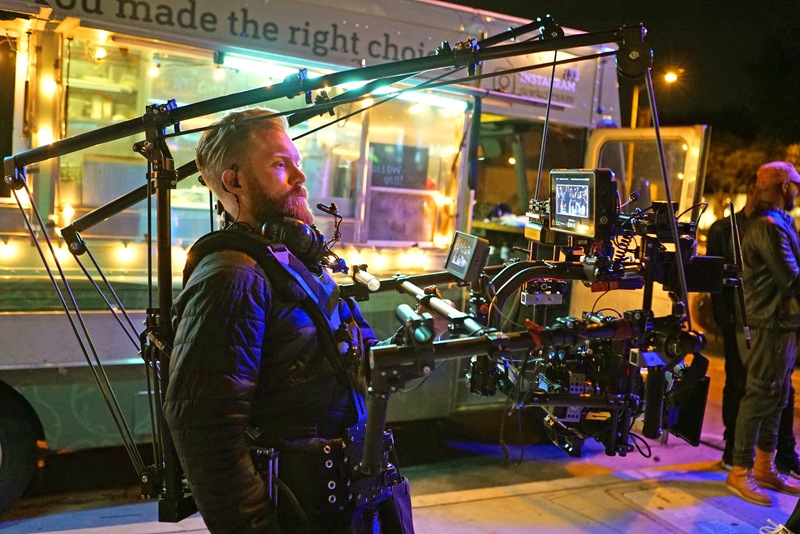 It’s like combining a remote head, jib, and steadicam into one mobile device. I’d never seen another feature shot in this fashion and for the mobile needs of the production it was a perfect fit. What were some of the technical problems that you have to overcome to shoot in that style? The camera had to follow our actors into a lot of live cramped and crowded spaces where crews don’t fit easily. You quickly realize in these environments that ceilings aren’t as tall as they seem and doorways aren’t as wide. Fitting through nightclub hallways, doing three sixty rotating shots, and keeping up with the actors moving at full speed was the ultimate film ballet. We even had to get the camera into a car without cutting. Twice. It required us to find a way to dismount the camera mid shot from the rig to temporarily hand it off to another operator in the car. We started calling it the Frankenstein rig due to its unique build and requirements. Since then named everything from the Terminator to the Preying Mantas! I was looking over your IMDB and it seems like your projects have a wide variety. How do you go about choosing what you’re going to work on? I’ve shot two features since graduating in 2013, both which have have premiered in the NEXT category at Sundance. With these films, I gravitated towards the underdog narrative. The Land is a story about kids trying to make it from the rough part of town in Cleveland. In A Boy A Girl A Dream its two strangers inspiring each other to follow their dreams when the world seems to be falling apart. 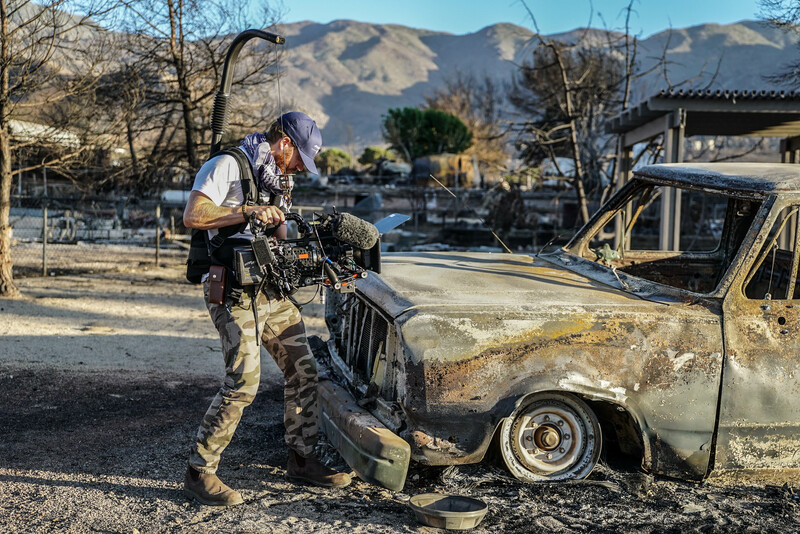 On my Netflix original series Fire Chasers, again it’s the story of the underdog, in this case people banding together in the face of an insurmountable enemy, wildfire. There’s a very strong dynamic of good versus evil in my work and I find it’s that conflict which inspires me and attracts me to a project. So you graduated in twenty thirteen. Do you remember your decision to come here? It was a circuitous route coming to USC but in retrospect it makes a lot of sense. 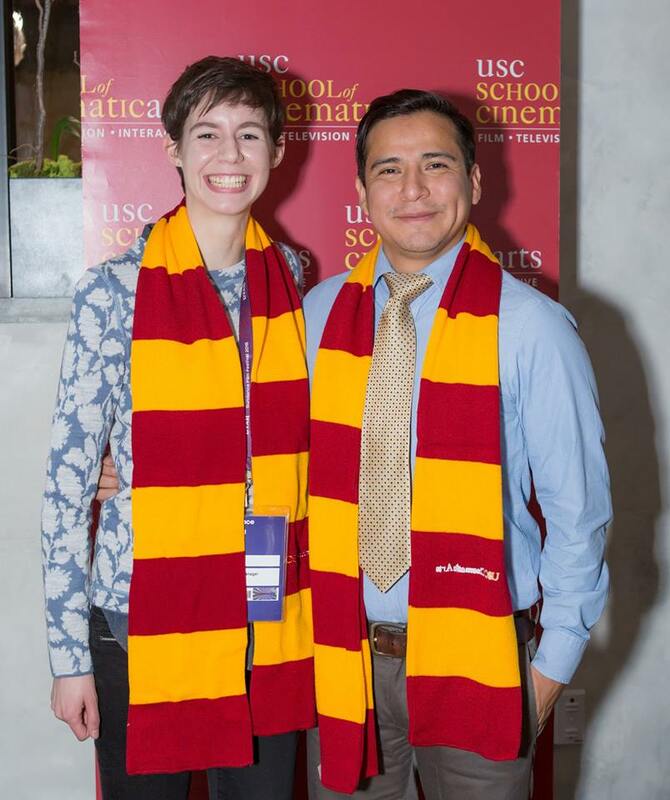 I grew up in San Diego but my family has been in Los Angeles for five generations so SC has been a big part of my life whether through the watching the football team at family gatherings, studying film legends like Lucas, or alumni in the family. I applied as an undergrad but actually didn’t get into the film program so I decided to go east to Bowdoin College in Maine where I studied history. My passion for film persisted and pushed me to apply for a post-graduate grant called The Watson Fellowship. The fellowship affords 40 graduating seniors from across the country individual grants to leave the country for one whole year to pursue a project they each design. I was awarded one in 2008 and set off to create a feature length environmental documentary about overfishing in the Pacific. For one year, I lived on my own in fishing villages across Samoa, Chile, and New Zealand shooting and editing a project that became much bigger than I had ever imagined. It was doing this documentary on the edge of the world that taught me volumes about filmmaking and eventually became my submission film to USC’s MFA program. Cinematography isn’t the first thing you hear from students. We have a long history of it but most people think directors producers and writers. What was USC right for you — as a cinematographer? What I wanted to learn at USC was story. Knowing how to talk about a story is an essential element in a cinematographers bag of tricks and in my opinion, out of all the film programs, USC is the king of narrative. Whether it was the script writing classes, directing exercises, or budgeting meetings, we constantly came back to how each element of a film was tied into the story. I learned how the narrative connected to each shot that I wanted to create rom the lighting to camera placement and movement. This was a powerful tool for me and one that has come in handy over and over again on every set I’ve been on. So in that sense I think USC is a wonderful school of cinematographers. If you can take yourself back to your time here what are some lessons that you learned here — navigating the School of Cinematic Arts — that you feel a student should know before they get here. School is what you make it and USC’s School of Cinematic Arts has a ton of different opportunities. I quickly learned to hone in on what I loved to do and to squeeze every little bit of juice out of each moment. Plus the school is loaded with of lots of like-minded young artists so it’s an ideal moment to begin collaborating. Were there individual professors or classes that really formed you as an artist? Yes my 507 instructor Larry Carroll. That’s the first production class? Yes. And I remember one moment after we screened our first films, Larry brought me up to the front of class and said, “What did you do wrong?” I remember saying, “Nothing.” Then he pointed out that I had committed a cardinal rule as a cinematographer and had crossed the line in one of my dialogue scenes with the character’s eyelines. That moment really stuck out to me. What’s “the line?” It’s an imaginary line that you draw in a scene between two or more characters in which you get to place your camera to maintain an eyeline. There’s all sorts of different rules about it and you can break it but at the time I didn’t understand it’s applicability and I was just blowing it. In front of the class. I had another instructor, Chris Chomyn — who taught my cinematography class. He had me come up in front of the class one day and pick up a C-Stand, a metal stand on which you can place a variety of lights and other grip related items. I picked it up by the inside collar and Chris instantly grabbed the outside arm which pinched my hand inside the stand. He literally held it up for the class to see with my hand stuck between the stand and I’m sure a look of shock and pain on my face. He said “This is why we don’t pick up the C-stand from the inside.” I never forgot it. These two lessons drilled home a dedication to craft and the notion that there’s a set of rules in the film industry that’s standardized. It’s stuck with me to this day. Where can people find more about your film? 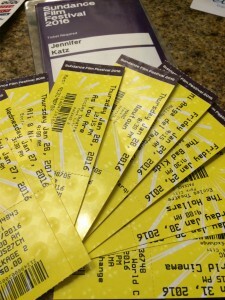 This past week, I took my first trip ever to Sundance! Being a student = a license to learn. 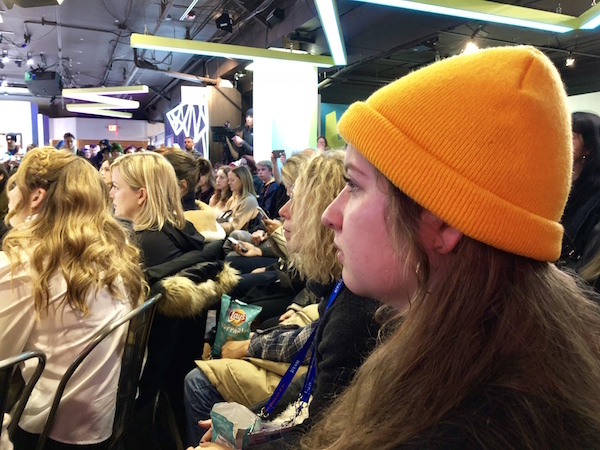 Sundance is an incredible platform to showcase the voices of up-and-coming filmmakers, and being a student puts you in the prime position to listen. The student card is a great way to get advice from filmmakers: it’s unintimidating, but credible. Play it wisely, and play it often. Try Sundance solo! 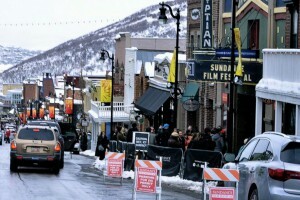 There’s no better place than Sundance to push your comfort zone – both creatively and socially. I went on this first adventure to Sundance on my own, and it was a transformative experience. It allowed me to reflect on my tastes and meet an incredible amount of people. Not having the safety net of a friend to talk to can be scary at times; looking back, it was one of the best decisions I made. I left the festival with a much stronger sense of my artistic voice and a better idea of what kind of stories I want to tell. Expectations are, well, expectations. My experience at Sundance was constantly evolving. Leaving myself open to absorbing every moment—the good, the bad, and everything else in between—without getting too caught up in my expectations, this was key in helping me keep a positive attitude. Which leads me to my next point. You can’t have them all. Two unsuccessful waitlists in one day, the choice between sticking around to meet a key creative behind a movie that just blew me away or getting in line for the next screening on my schedule, films that I didn’t quite agree with or ones that just didn’t sit right—Sundance isn’t without disappointment. That’s part of it the experience. There is so much to see in a short amount of time, and until we humans have learned to clone ourselves (hey, a girl can dream), you’re going to miss a few things here and there. Do your best to focus on the decisions that payoff—they will be the ones that you remember. Everyone has an opinion. This isn’t a bad thing. While standing in line and making conversation, I came to realize that people really love to talk about what they think. Use this to your advantage! It’s a great way to observe what gets people going and what shapes their world views. These opinions can help you create more impact in your own work. Finding your voice, and those who share it. 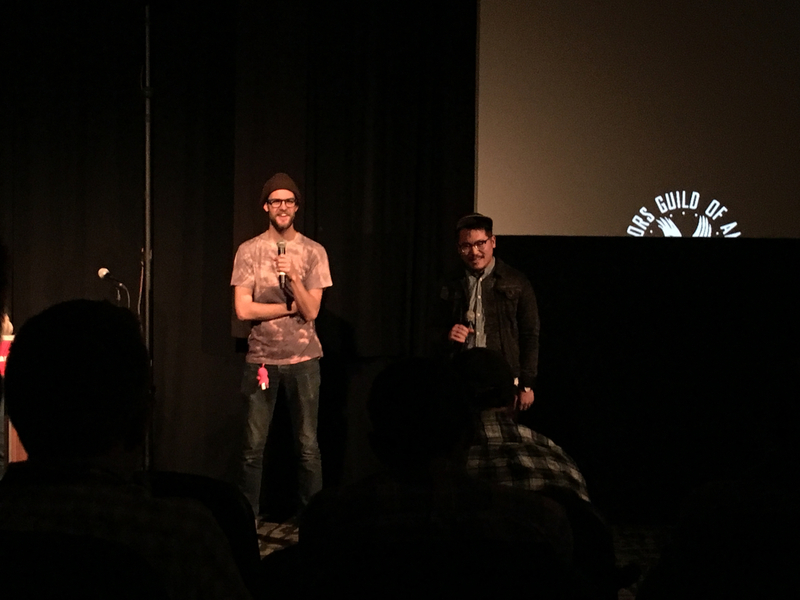 As young filmmakers, we have a unique set of experiences that set us apart from other generations of filmmakers. There seems to be a growing concern that, in the postmodern world, filmmakers are running out of stories to tell. This one trip to Sundance quelled that notion. The films that succeeded in making an impact on audiences this year were the ones that knew their voice. Finding the story that you want to tell—and the people you want to tell it with—is everything. It just so happens that film school is the perfect place to find both. Connecting… Deeper. My favorite film of the festival was, quite fittingly, the last one I saw: a Polish documentary called All These Sleepless Nights. It was poetry in cinema. The psychological realism, the aimless yet beautifully eloquent reflections on what they were feeling, filled an emotional void that I had been searching so desperately to fill but had all but given up on finding. Stunned, amazed, electrified; I stuck around to thank the filmmakers and had a short but meaningful conversation with the Production Manager, Janusz Bąbkiewicz. This brings me back to my first observation: the advantage of being a student at Sundance. Being a student not only gives you a reason to start a conversation with someone whose work you admire, but also creates an opportunity to share their insight, making an impact on the next generation of cinema. Every filmmaker I spoke to was more than happy to spec about their work, a testament to the collaborative and encouraging environment that surrounds Park City this time of year. Jansuz and I talked about the technicality of the film, how they went back to ADR for over 60% of the film in order to make the crew less invasive during shooting. Had a laugh about how we are our own harshest critics. “I can see the mistakes,” he joked. I assured him that I didn’t notice. He smiled and seemed relieved. Sensed that we were feeling the same thing, an unshakeable connection of a deeper level of understanding. He knew that I had heard the message in his film. So there I stood, outside the Egyptian keeping warm in my white SC beanie while talking to the very people that were responsible for the film that had so deeply moved me just moments before. It was one of many memories that made this trip so special. I came to Sundance to learn, to explore, and observe. Although I left Park City with more questions than answers, I gained a new source of energy to keep seeking those answers. The trip was a reminder of the power of cinema and the ability to share knowledge, gain perspective, and evoke powerful emotions, tap into our humanity. 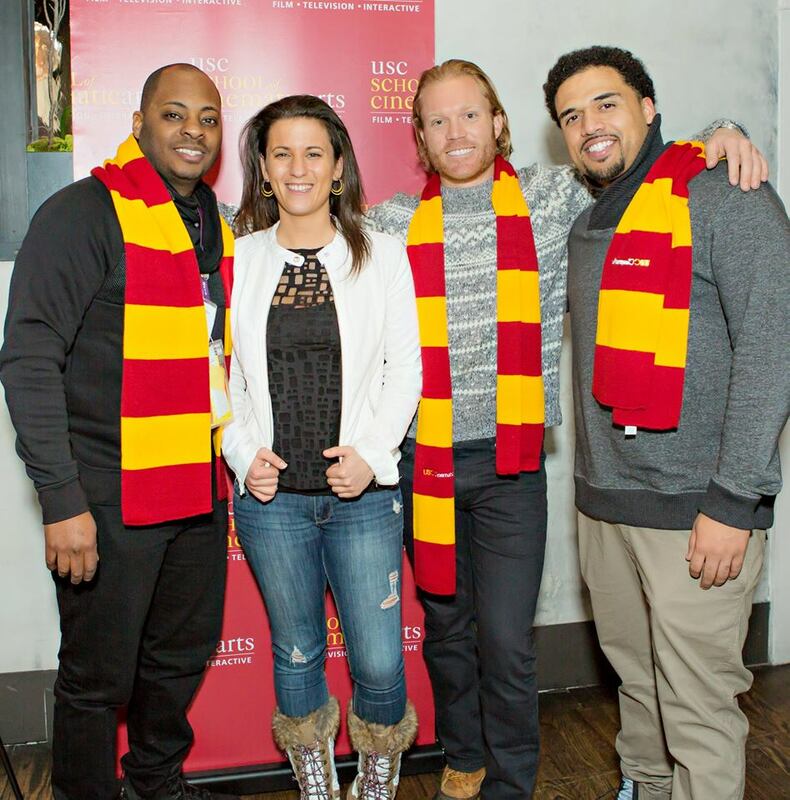 Sundance was a truly amazing experience. Cannot wait to channel this newfound creative energy into my own work here at SCA! The last few days here have been amazing. Since I last checked in, I’ve seen six more films, some of which pushed my boundaries and expanded my worldview. I also had the ability to further immerse myself in some of the other events the festival had to offer, such as the Music Cafe, industry panels, and Sundance’s “Ignite” events. One of the extraordinary things about being here is simply the quantity and quality of people I’ve met. I’ve met film students from across the country, from Atlanta to Ohio to Portland. This allowed me to recognize how far-reaching film is and how many people outside of LA want to do the same things that many of us at SCA want to do. This revelation also made me feel privileged to go to a school right in the beating heart of the industry, and thankful for all of the opportunities I’ve had because of SCA’s reputation, location, and education. 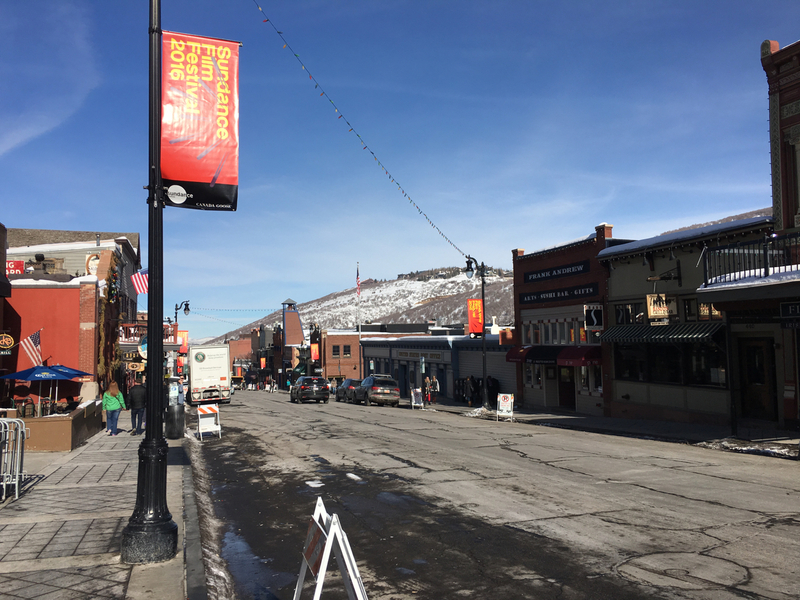 Meeting people at Sundance also allows you to recognize just how small the town is. Twice, I’ve met people at events and then run into them on the bus the next day, jovially greeting each other and catching up on the films we’ve seen. 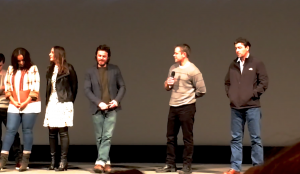 I’ve also randomly met directors, editors, and actors simply waiting in line or sitting in the filmmaker lodge getting coffee, making every experience in Park City an opportunity to meet people. Yesterday I attended “Speed Dating with the Filmmakers” where I sat around a table with four other young festival attendees and we had fifteen minutes to talk to whichever filmmaker was sitting at our table. After that time the filmmakers rotated, allowing us to hear the stories of those in the festival in an intimate setting where we could have a conversation and it was easy to ask questions. We talked with the producers, writers, and directors associated with the successful films at the festival, listening to their stories and advice. Lastly, I’ll just give you another quick run down of the movies I saw since I last checked in, in case you ever come across these titles and want to know what to watch! Newtown – A poignant, difficult documentary about the families affected by the Sandy Hook school shooting tragedy. The subject matter was worthwhile, but perhaps it was a little too soon for this documentary to be made, as the director’s respect towards her subjects at times limited her story’s ability to grow. Mi Amiga Del Parque – A story by Argentinian director Ana Katz (no relation) about the difficulties of motherhood in a big city. It was a bit wacky and had a stream of consciousness feel at times, but overall was decently enjoyable to watch. The Bad Kids – A powerful documentary about the at-risk students and teachers that inhabit Black Rock High School in San Bernardino county. It beautifully balanced telling the students’ often tragic tales of hardship with the story of the woman who passionately runs this high school to give her students a better future. The Hollars – A heartwarming film directed by John Krasinski about how family deals with the big moments in life. It had me laughing and crying at the same time; it was an enjoyable feel-good movie that seemed to bring back faith in humanity and family. Between Land and Sea – A story about a man with muscular dystrophy living in a rural Latin American swamp and his mother’s love for him. It moved very slowly for me, which lessened the emotional impact it was trying to create. I also saw a shorts program that had an interesting variety of short films. Overall, Sundance was incredibly inspiring, and I can’t wait to get back to LA and start implementing all the ideas I’ve had while I was here! 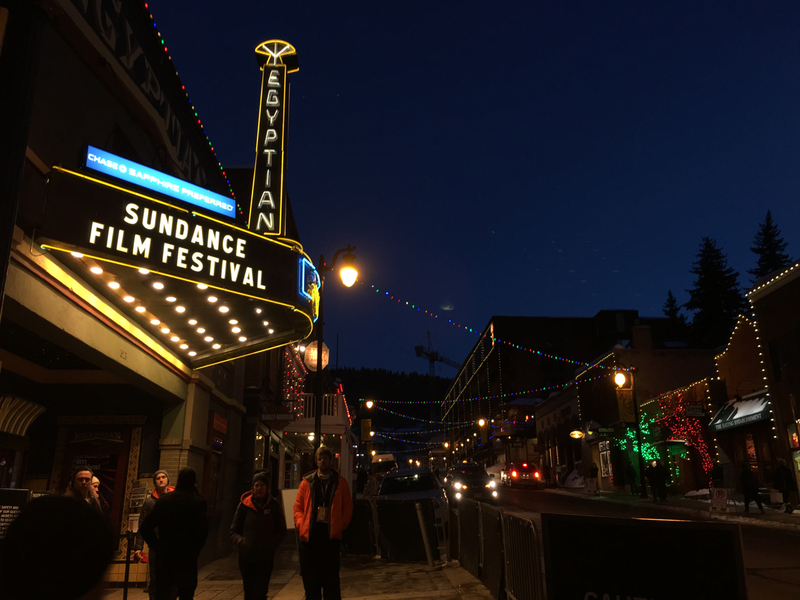 I had never been to a film festival before, and certainly not one as large or prestigious as Sundance. It began as a whirlwind, which has not stopped for two days. At this point, I’ve seen some incredible movies, heard from some inspiring filmmakers, and chatted with some great people in the various lines that are a Sundance staple. 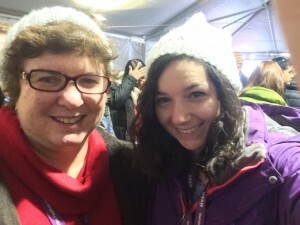 I came to Sundance with my mom, because above all else we love movies. 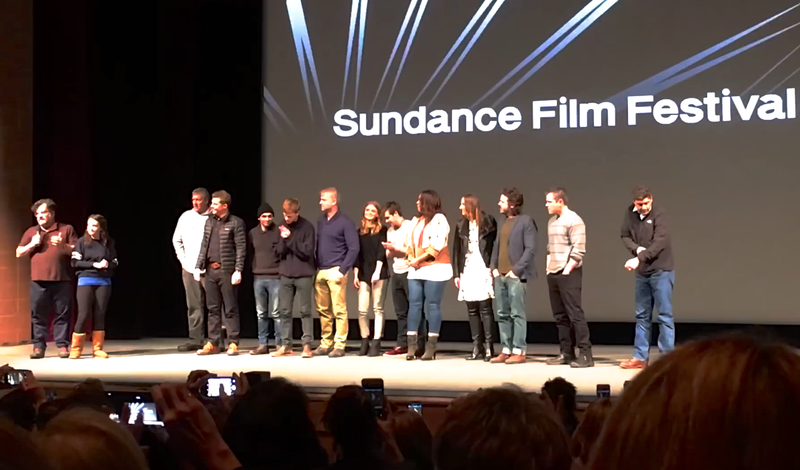 We seem to exemplify the Sundance crowd in that there is incredible diversity here in terms of age, gender, and background, across both the audience and the filmmakers, yet everyone is bonded by a mutual adoration for the cinematic art form. People have been incredibly friendly and willing to engage with total strangers in order to dissect and reflect what they are seeing on screen. This has turned standing in line from an exercise in boredom into an exciting opportunity to exchange impressions about past films and buzz excitedly about whichever film we are about to see. 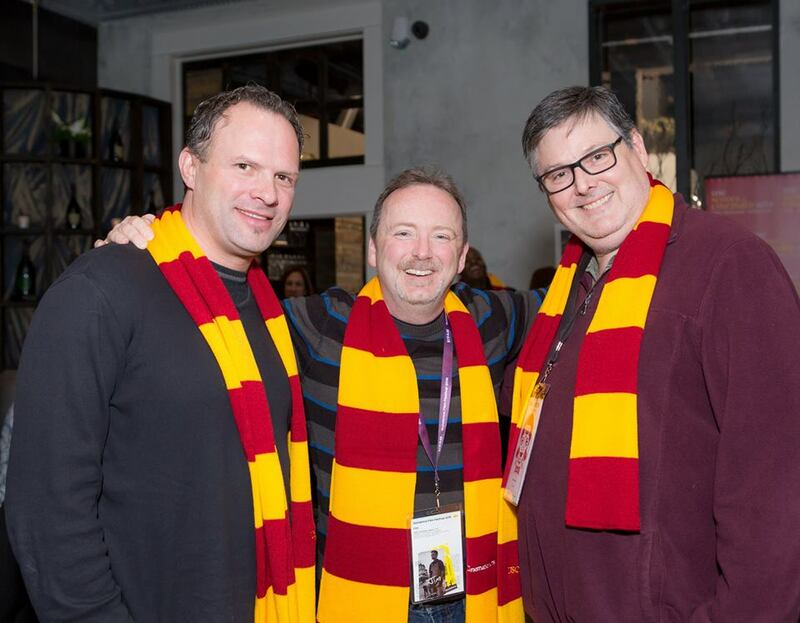 As much as USC tends to be a place where people appreciate movies, Sundance is at a whole new level. Agnus Dei – A powerful, beautifully shot story about a Polish convent and a Red Cross doctor in the years following WWII. French director Anne Fontaine does a beautiful job of expositional storytelling and growing relationships as the story advances. Goat – An attempt at showing the strains of brotherhood by examining two brothers as they deal with violence and the flawed fraternity system. The characters fell a little flat and the director’s message seemed to get lost among the various food substances used in the on-screen hazing. Jacquline (Argentine) – In the mockumentary style, first-time feature director Bernardo Britto explores existentialist themes as he constructs a documentary about nothing. It was a great experiment and dryly witty; I’m excited to see what he does next. Ali and Nino – A love story between a Christian woman and a Muslim man in Azerbaijan during WWI. Director Asif Kapadia exhibits a confidence with his gorgeous wide-sweeping landscape shots that help set the stage for the beautiful love story that unwinds between two captivating characters. As You Are – An ambitious, suspenseful, intense, and beautifully shot first-time feature by 23-year old director Miles Joris-Peyrafitte. This is an excellent investigation into the teenage psyche and Joris-Peyrafitte engages with a new form of constructing a story that left me on the edge of my seat. 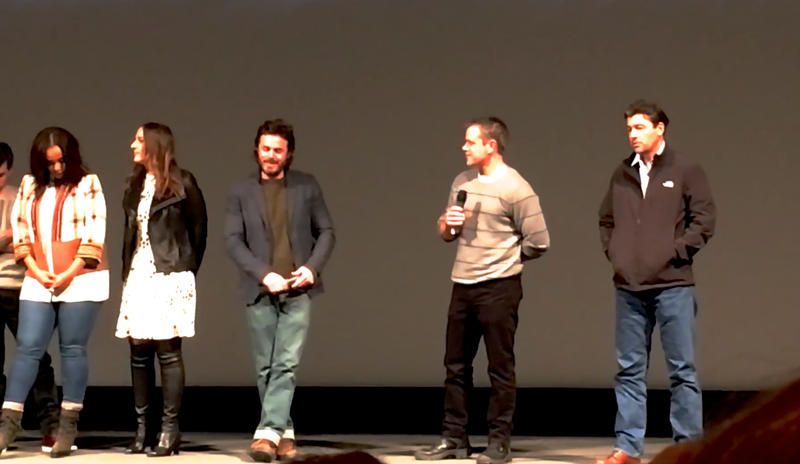 After learning at the Q&A that the film wrapped in October and the first cut was done in just 15 days, I was immensely impressed. 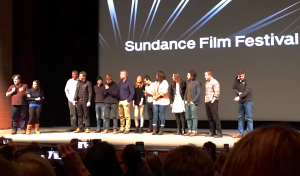 For me, the films have definitely been my focus at Sundance, but there is so much else to explore. I have greatly enjoyed getting to hear the directors talk about their experiences making these movies, and the variety of directors we’ve been able to see. 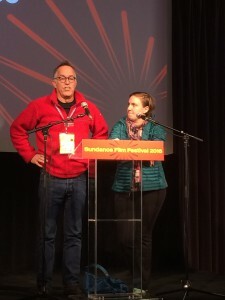 I also have been attending the Ignite events – events created for the youth program at Sundance – where I was lucky enough to hear from both the Sundance Director and Lena Dunham. 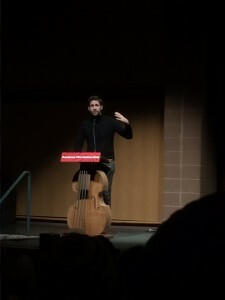 At these events, I’ve also been able to meet other film students from across the country. Overall it’s been a jam-packed, extremely exciting first two days. I’ll report back on more of my experiences soon! Hello fellow Trojans and Sundancers! Blake Bauman here, junior Cinema and Media Studies major at SC. This is my first time in Park City, so there is much to discuss. Let’s dive in, shall we? Quick first impression: this place feels very much like the environment at SCA, so therefore, it feels like home. There was not a single moment where I passed a group of people on the street and film was not being discussed. These people live and breathe cinema, which not only allowed me to engage in some great conversations today, but also made the viewing experience for my first screening so incredibly enjoyable. Ok, first off, my expectations for this film have kind of been all over the place. It started off as the film I was most excited to see at the festival because of the sheer absurdness of the plot, and the fact that it would be primarily driven by a single actor, Paul Dano, given the lack of a supporting cast, except for Daniel Radcliffe’s lifeless corpse. Then, tragedy struck: the first week of reviews began rolling out and the media’s primary headline was how Swiss Army Man is just “one big fart joke,” leading to many walkouts during early screenings of the film. This gave the film some bad buzz, so I was worried going in, but still hopeful. I can honestly say now that, yes, the film, at first glance, is a big fart joke, but at its core, is truly something very special and genuine. Swiss Army Man is a heartfelt, emotional journey that is so perfectly balanced with laughs that would make most comedies jealous. The structure basically involves a lonely man, Hank (Paul Dano), who is stranded on an island, literally seconds from killing himself, when he discovers a washed up corpse, (Daniel Radcliffe) that cannot stop farting, on the beach. Hank begins to realize that this dead body is much more useful than he originally thought, so he drags the corpse along with him during his journey back to civilization. Paul Dano is just fantastic in this film. Hank is a lonely, miserable complex human being, and if it wasn’t for Dano’s full dedication to this role, I would not have felt so connected to the character. There are some deep moments in this film, and require an actor that can be taken seriously throughout, despite the sometimes immature, but always hilarious, humor used here. This may be my favorite performance of his, and that is saying something considering his brilliant portrayal of Brian Wilson in Love & Mercy last year. And without going into spoilers, Daniel Radcliffe is even funnier than Dano. What he does with this role, that at first seems like just a prop, is unique, adds to the absurdness of the film, and is genuine as he lifelessly journeys with Hank. This film tackles some very relevant themes. 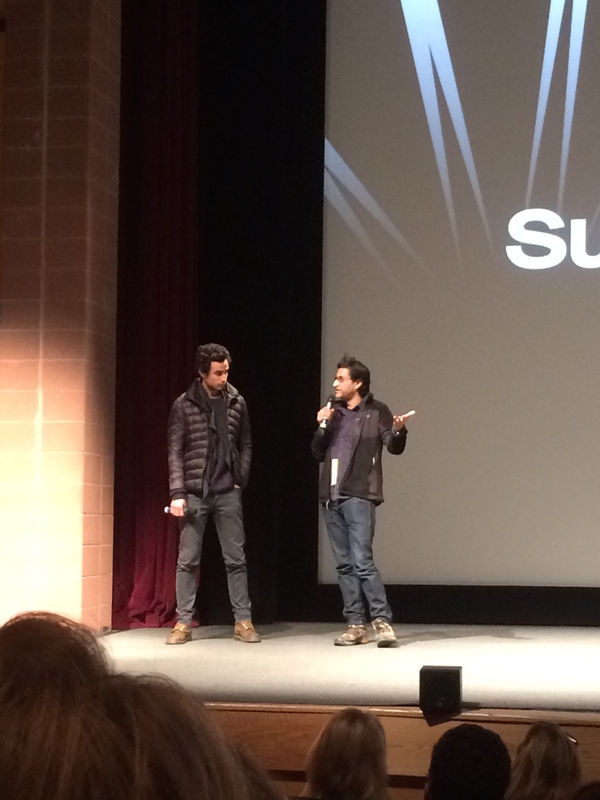 In the Q&A afterwards, co-director Daniel Kwan discussed how he wanted audiences to feel inspired by this story of smashing pre-conceived notions and making the world your own. He wanted viewers to be comfortable in their own skin and take chances before you regret not taking them. This is a bold film that is not afraid to take chances. I extremely recommend it. This exhibit was inspired by the old cave drawings based on the origins of man. 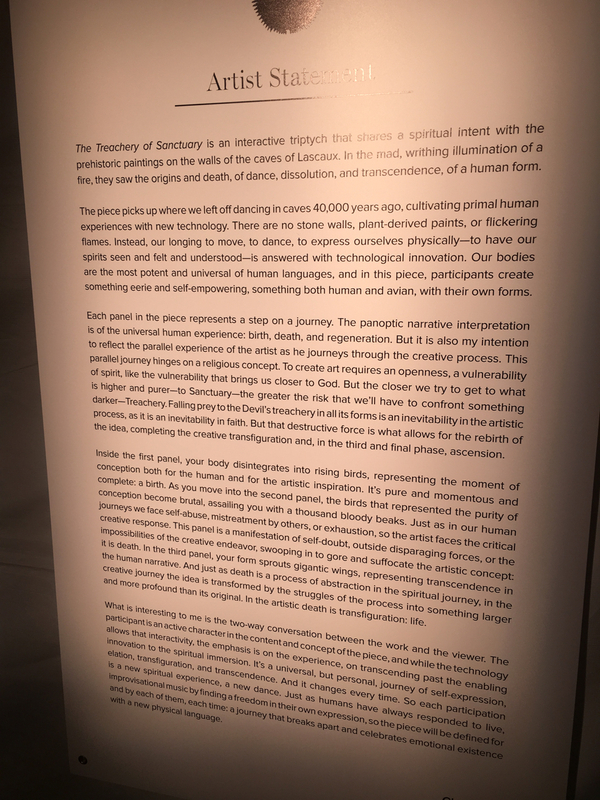 Above is the artist’s exact description of what he wants guests to experience. 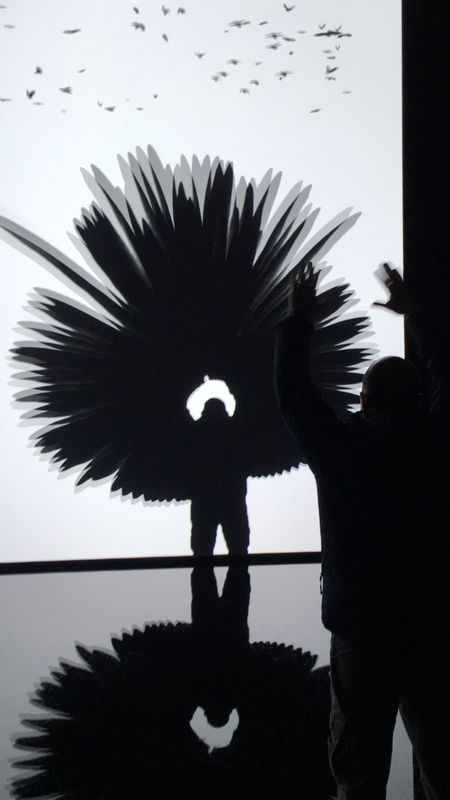 We walked into a dark room with 3 large panels, with each section showing our silhouettes getting picked apart by birds and then reborn as a large winged bird creature. Very strange, but cool concept to experience. 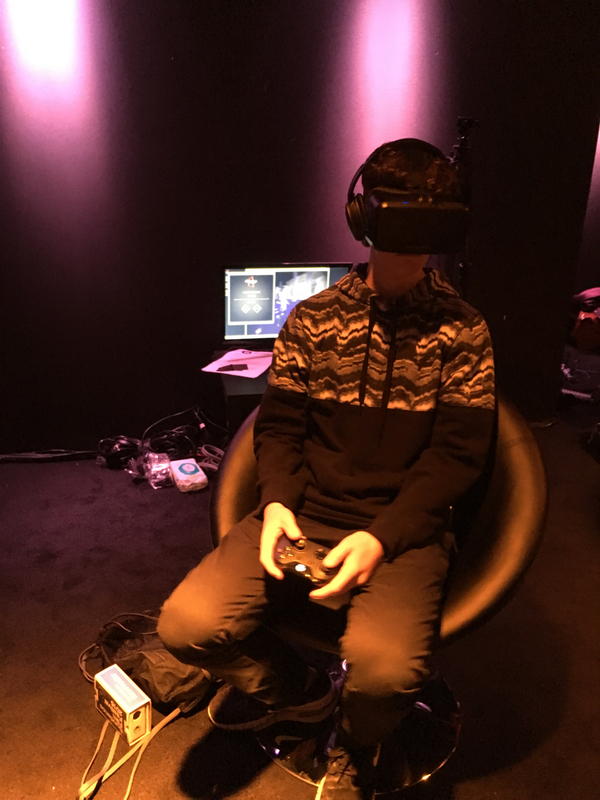 I spent the majority of the rest of the night checking out some VR outlets available at the VR Bar, which is basically self-explanatory: a small venue where drinks are served and VR can be tested. 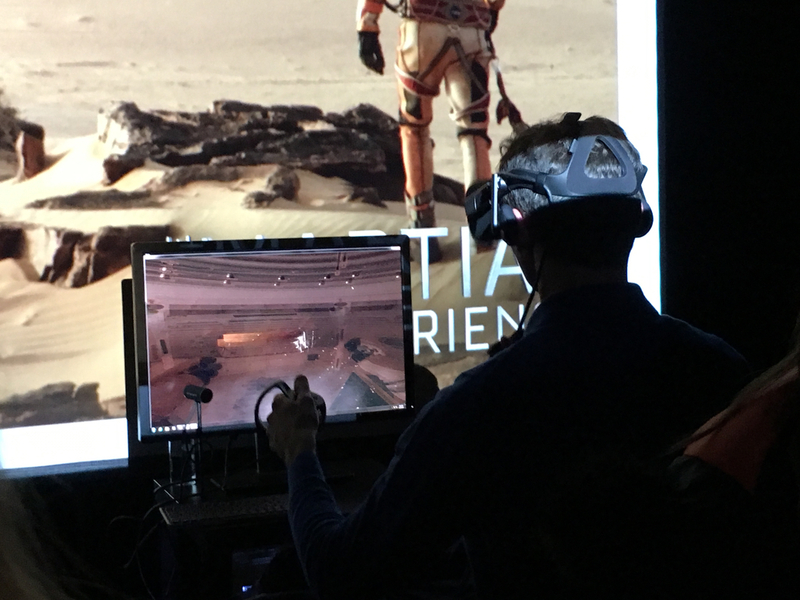 Fox Innovation Labs hosted the event so the main VR attraction was based on Ridley Scott’s The Martian. Guests got to relive Mark Watney’s journey from the surface of Mars back to his team waiting for him while orbiting the planet. There were still some glitches, but overall, I was impressed with how interactive the experiment allowed you to be with the environment. You could grab floating scrap metal, or reach out for the hands of Watney’s fellow astronaut. This was very cool to experience. The next project was called Sequenced, which was an interactive, animated story about a futuristic recon named Sam who discovers a young girl, Raven, amongst a deserted city who is destined to become the Guardian of the Earth. The characters were flat, 2D animations but their environments were composed with 3D rotoscoping. Interesting story, but I only got a portion of the story so I’m looking forward to watching the rest. The final project that I tried out was called The Unknown Photographer, which was my favorite of the night. It was basically a narrated journey through the works of an unknown World War I photo journalist, but the worlds in which these photos were shown resembled the description of the narration. Photos flew by to resemble a train when the narrator describes his hectic thoughts, and in another moment, I was transported to a cemetery with roaming giants lurking above me when he described the terror of the dead at the hands of the enemy. Very dark subject matter, but this was such a unique way to tell a story. I love that. Alright, well, that was Day 1. Day 2 consists of my screenings of Operation Avalanche, Sleight, Outlaws and Angels, and American Epic. Thanks for reading! Students, alumni and faculty gather for this year’s Sundance SCA Filmmakers’ brunch held at The Riverhorse in Park City, Utah. 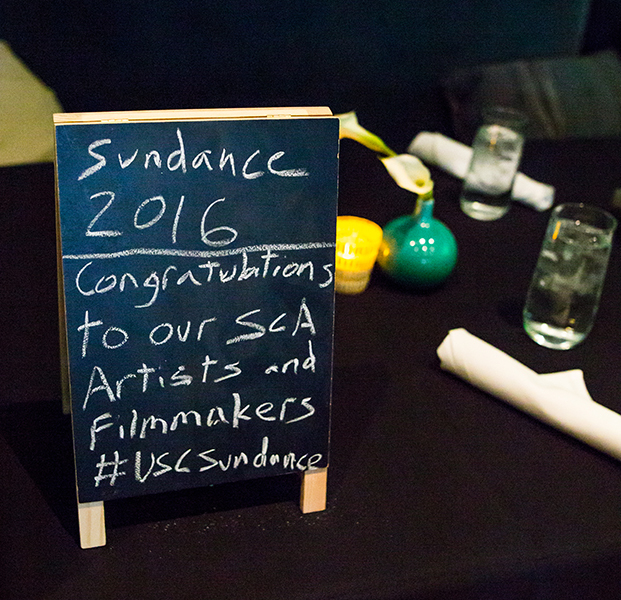 It was a chance for the filmmakers to celebrate USC’s School of Cinematic Arts presence at this year’s film festival. 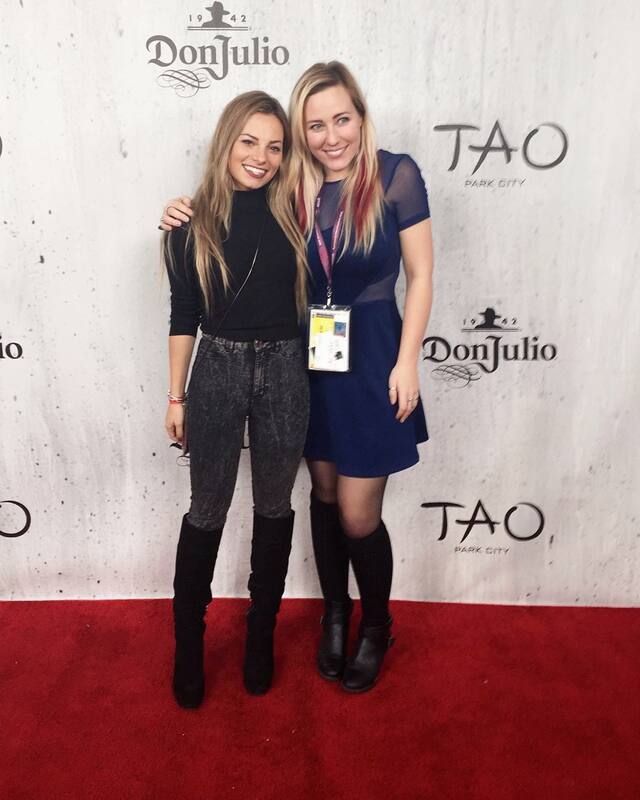 USC student Siena Oberman (left), assisting the VP of Paramount for Sundance, celebrates the successful Sundance Premiere of Tallulah with Producer Sophia Dilley of Route One Entertainment. Siena used to intern for Sophia and says Tallulah is one of many people’s Sundance favorites. The film stars Ellen Page and was bought by Netflix prior to the festival. It was made by an all female department head filmmaking team, reflecting Hollywood’s progression towards gender equality.